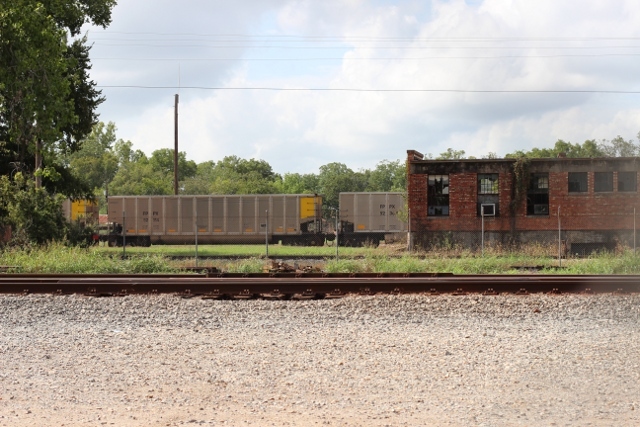 It’s been a while since we visited Smithville, one of our favorite Texas towns, so we drove out there Saturday to relax and unwind while the boys played on the trains at the Railroad Park. 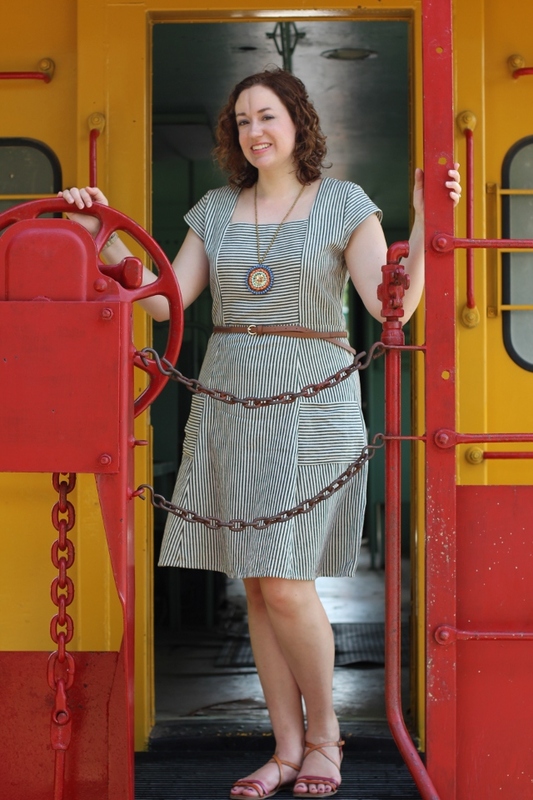 I’m partnering with Mata Traders to highlight some pieces from their lovely fall collection, so I happily wore the new Savannah Smile dress, since its fabric reminds me of the old railroad caps my grandfather used to wear. The Savannah Smile dress, ethically made of cotton, is a great basic for fall, but it can be worn easily year-round, too. I brought along a few simple accessories and styled it several different ways to show how to work this gorgeous dress into your regular wardrobe. The cut is incredibly flattering, and the contrasting stripes of the cotton material really work to show off my curves, too. Since it’s technically fall but still hot in Texas, I first paired the dress with a thin leather belt, strappy sandals, and my fair-trade medallion. This look could definitely work through the hottest summer months, and I’ll be able to wear it into October, too. 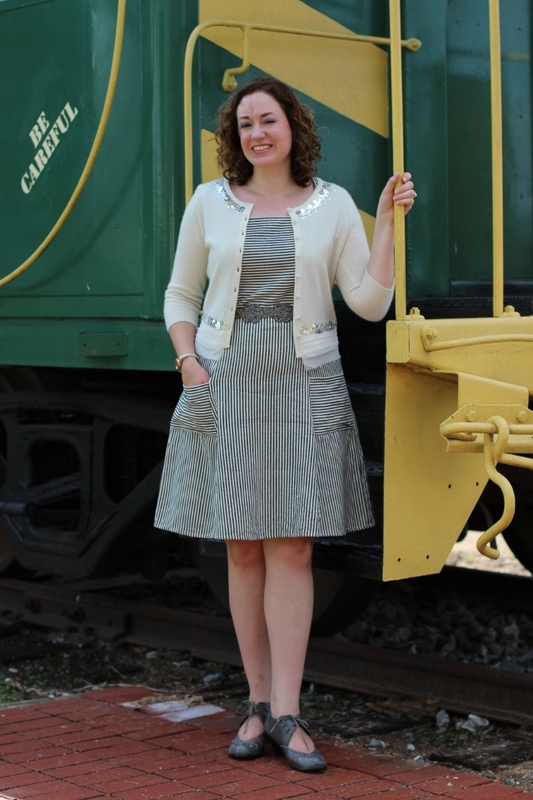 For my second look, I switched to a silver beaded belt and ivory wedges, which add a 1940s vibe to the dress. This would also be a great look for spring and summer. When fall weather finally arrives in Texas, I can add a sweater and lace-up shoes for a bit more warmth. And if it ever gets cold enough, grey tights will complete the outfit. Right now, it’s just too hot to put them on. I had so much fun styling different looks for the Savannah Smile dress, and I’m grateful to Mata Traders for the opportunity. Stay tuned later this week as I feature one more dress from their new collection, and be sure to check out their other beautiful pieces, too. The third combo is my favorite though they all look great. I love those shoes! Are they comfortable? Thank you! They are pretty high, and I need to break them in. Such a cute dress! I CAN’T WAIT for tights weather! I know! It sort of felt like it here yesterday. you look absolutley gorgeous Catherine! 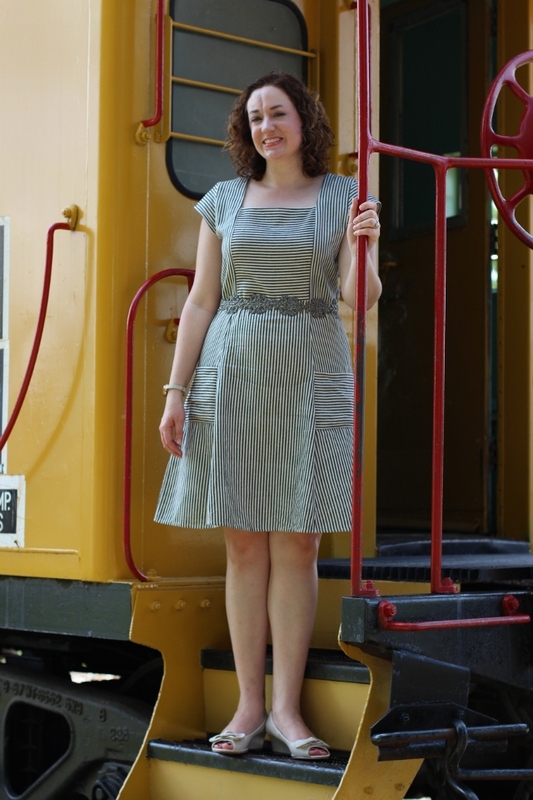 i love the classic look of the savannah dress, and that it’s a fun take while being very classic still. i think the first styling is my fav, but the second is perfect for a bit more dressier occasion as well. 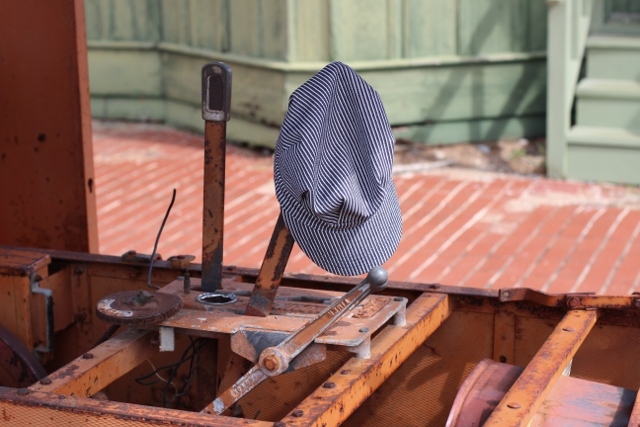 and of course a perfect location for a photoshoot! Thank you so much, Dus! The first version is the one I’ve worn most so far, since it’s been very warm here. You look lovely in this. Classic with stripes! Thank you so much, Kristian!